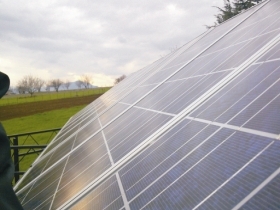 The first PV solar plant in the Macedonia has been built in the muncipality if Ilinden by Sieto in the 2009. The plant "Solar Park - Kadino" is on the same site as the Eco House. The total power of the plant is 10200Wp. 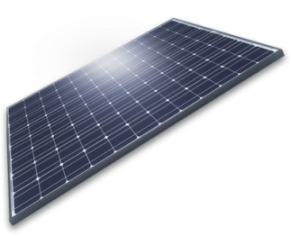 The electricity is produced with direct conversion of the solar insolation recieved by 120 PV panels of 85Wp each. The produced DC current is transformed into AC 220V/50Hz by three inverters sinchronized with the three main phases. Trough a special counter, this electricity is given to the distribution system of the national grid utility company. The construction works of the plant begun in February, 2009. Digging for the concreat foundations. The plant has been officialy oppened on 03.06.09.